A view over Tallinn’s old town. YIT has over 100 years of construction experience in Finland, Russia, the Baltic countries, the Czech Republic and Slovakia. 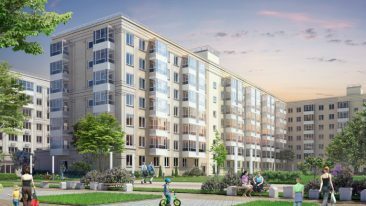 Finnish construction company YIT has commenced work on an apartment building project in the city centre of Tallinn, Estonia. The project is valued at approximately 10 million euros. The six-storey apartment building is set to comprise approximately 60 apartments and eight business premises, along with an underground parking facility. The project is situated on a quiet block in the city centre, in the vicinity of an earlier YIT apartment project that was well received by residents. The building is slated for completion in the autumn of 2016.